The story of YeboYes e.V. organization began in South Africa; more precisely in the province of KwaZulu Natal. The Kenosis Community is located near the provincial capital of Pietermaritzburg. It comprises of a couple of houses and a small church surrounded by vast sugarcane plantations. The Kenosis Community is a Christian community of approximately 50 people of different cultural background, who live and work together. Most of them are Zulu. In addition, there are a few South Africans and three to five volunteers from Germany and other countries. Around half of the community’s members are children of different ages, who have been take in as foster children and are being cared for by the community. We, the founding members of the organization, served for one year as volunteers at the Kenosis Community and partook in life there. We worked together in the most unusual areas, experienced and lived the lives of the people, and became very fond of THEM and their country. Unfortunately, time passes “rather quickly” while participating in a yearlong experience such as this. Even when a spatial distance of over 10,000 kilometers suddenly appeared between the Kenosis Community in South Africa and us back in Germany at the end of our year there, our thoughts still remain very close to the dear people of the Community. Our love of South Africa, its people, and the common experiences during the year led to a first meeting of 15 former volunteers of the Kenosis Community in Neu Frankenroda. We met with each other again or for the first time, exchanged memories and experiences, and listened avidly to news and updates reported from recently returned volunteers. In other words, our common memories were revitalized and quite a few of us even wished to immediately return back to South Africa. This kind of experience was the ideal starting point for a special companionship, which will continue even into the future. Our second meeting took place in Leipzig in the winter of 2007. It was here that the idea originated, to develop an organization though which we wanted to support “our” Kenosis Community long-term. A lot of time passed before out project was actually established, but everything was finally completed on April 24th, 2009. 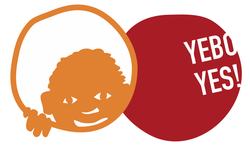 The “YeboYes e.V.” organization was founded and officially registered on July 14th, 2009 in Mainz, Germany.